A large number of Lankan refugees continue to live in Tamil Nadu over 30 years after the outbreak of civil war had caused them to flee the country. Austin Fernando said he has planned to "meet the refugees" in Tamil Nadu to hold consultations. 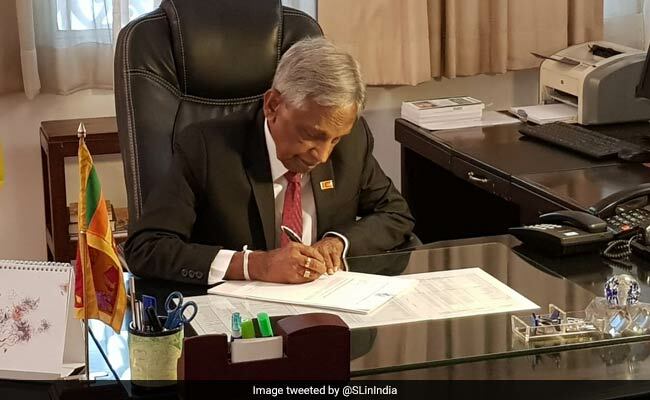 Sri Lanka is seeking "serious dialogues" with India for repatriation of Lankan refugees living in Tamil Nadu, its envoy on Friday said while asserting that his country wants them to be resettled back home with provision of housing and livelihood. Interacting with reporters at the Foreign Correspondents' Club of South Asia (FCC), High Commissioner of Sri Lanka to India, Austin Fernando, said he has planned to "meet the refugees" in Tamil Nadu and other people to hold consultations. However, he did not specify any time frame. "What we know is that about 100,000 of them (refugees) are there in south India. And, nearly 20 to 30 per cent do not want to return to Lanka and stay back," said Mr Fernando, who took charge as the envoy last November. He said this issue will take time to resolve and has to be done in planned manner, but for the refugee problem to be successfully settled "we need to assure them that they will be looked after once they return". "Sri Lanka needs to give them feeling that they will have food, shelter, education for their children and means for livelihood when they go back. We have to work on that. We have to ensure that they are safe when they are back," he said, adding, "there are a few logistical issues". "There are these basic issues like whether they will go by ferry or ships, that have to be worked out," Mr Fernando said. "India has been hosting Lankan refugees for the past 20-25 years... And, we are working on the (repatriation) issue, but we need serious dialogues on the matter," he said, "we seek help from all quarters". The High Commissioner, without naming any party, alleged that there are at times political reasons behind the delay in the repatriation. "In India, there is also some sort of an organised attempt or an attempt by some people to have noise around this issue," he said. More than 3,000 Sri Lankan refugees, who were staying in India, had left for their home country since 2015, the Tamil Nadu government had said last July. The refugees had been repatriated with the assistance of the United Nations High Commissioner for Refugees, it said. Over 3.04 lakh Sri Lankan Tamil refugees had come to Tamil Nadu following the ethnic violence in the island republic in 1984, a policy note of the Public Department, a portfolio held by Chief Minister K Palaniswami, tabled in the state Assembly had said.